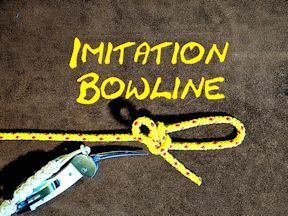 Imitation Slipped Bowline – Fast Easy Secure – Better than the Bowline? 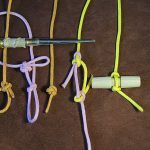 I had never heard about or even seen this particular knot, until it was introduced to by Greg Letter. I understand that he came up with this knot whilst messing about with some cordage. 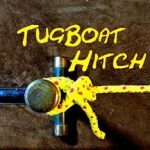 As you can see I have also put in the title better than a Bowline? Well, I certainly have to say it is very easy to tie and also untie, even when it has been under load. I think the fact that it is slipped, does help. 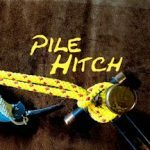 But for those of you that prefer more security, the video does show a great way of adding a half hitch to make it more secure. 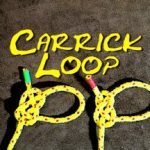 But is it a strong loop? 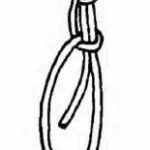 Well the best test that I have done is to swing my massive body of the Imitation Slipped Bowline, and it certainly does appear to be strong in that way. I found that when tying this, it was not dissimilar to tying the Evenk Hitch. Click on Link to view Evenk Hitch. 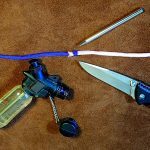 So I wonder if the Imitation Slipped Bowline, would also be a useful knot for Bushcrafters? What Do You Think of This Knot? Please let me know in the comments below what you think of this knot?